We love throwing parties with a creative twist (for kids and grownups ages 6 to 106)! Our p-ART-y experiences are a great opportunity for children or adults to celebrate and connect in a fun, inclusive atmosphere. 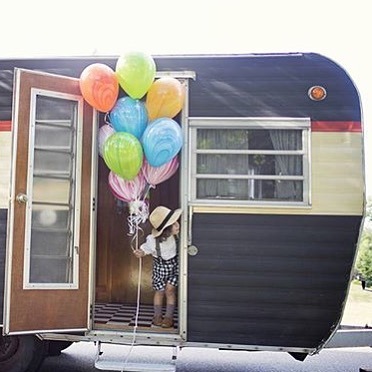 Creativity Caravan parties offer plenty of playful inspiration to make sweet memories that last. Our basic 90-minute party package includes instruction, all materials, and a hands-on project each guest will take home - the perfect party favor! Parties can be held at the location of your choice. Choose from one of our exciting themes (list and Pinterest board emailed on request) or we'll customize the party to fit your style and interests. Basic package charge is $200 (up to 8 guests). Additional guests can be added for $20/guest, (or up to $25 depending on difficulty and materials needed for the chosen art project). We’re mobile and we love to travel, but if you live more than 10 miles outside the Montclair, New Jersey area, a mileage surcharge will apply. Reservations must be made at least 2 weeks in advance. To reserve, please contact us at hello@thecreativitycaravan.com. A $100 deposit is required at booking, with the balance due at the end of the party. Cancellation fees apply.